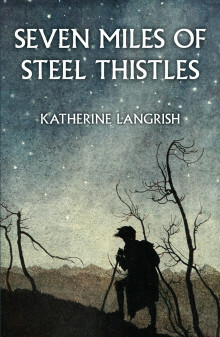 I'm following on from Penny Dalton's review of Katherine Langrish's excellent Seven Miles of Steel Thistles, re-connecting with things Faery. A Short History of Fairy Tale, it says on the cover of Marina Warner's study and a very good one it is. The perfect introduction to anyone who has yet to fall down the rabbit hole into the world of Faery and a useful guide and aide memoire to those of us who are already there. Marina Warner explores the history and meanings of fairy tales from many different traditions. Her map of story extends from North to South, West to East, from Germany, Denmark, France and Italy, the Celtic fringes to Russia, the Middle East and beyond. Her book is both a guide and an exploration: even familiar tales appear different, others are there to re-discovered, having slipped or been pushed into obscurity and still others are there to be found for the very first time. She focuses on the tales themselves and how they have been recorded and recieved from first collection and publication; their transmigration from oral tales to the printed page and on to stage and screen and she deftly shows how each age tells the tales differently. Archetypal in their universality, they are nevertheless infinitely malleable. The stories have been changed, bowdlerised, re-told and re-interpreted, given feminist slants, toned down and toned up, depending on who is doing the telling and why. They have mined for meaning, analysed and re-analysed, catalogued and categorised, traced across cultures and continents, but they have never lost their primal fascination from Brothers Grimm to Maleficent. They have provided a well spring, a never emptying cauldron of ideas and inspiration for generations of writers of fantasy and magic realism, from J.R.R. Tolkien to Jeanette Winterson, by way of Angela Carter, Lewis Carroll, C.S. Lewis, Philip Pullman and a host of others. Marina Warner wears her considerable erudition lightly and writes with an elegant, easy style, but her scholarship shows on every page. Her great skill is to be able to distil her deep knowledge into less than 200 pages; to press a wide ranging and comprehensive survey that covers every conceivable aspect of this enormous subject into a slim volume that can be slipped into handbag or pocket, that could be consumed at one reading, but which provides the reader with everything he or she could wish to know. In this she has performed her own kind of magic. The density of meaning she packs into these pages echoes the brevity and resonance of some of the most powerful fairy tales. A small volume containing infinite riches. It could have come from one of the stories themselves. The stories we make for ourselves are a preoccupation of this absorbing novel: the sense and structures we want to impose on events that would otherwise seem random. The ability to hang on to life itself begins to seem random to narrator Adam Goldschmidt, when – and for ever after – his fifteen-year-old daughter Miriam has an anaphylactic attack in which her heart stops beating. There is no diagnosis, no known cause, so Miriam and her parents are left with the knowledge that it could happen again at any time. Understandably, Adam becomes frightened by silence, compelled to keep listening at Miriam’s bedroom door in case she's stopped breathing. When other parents say that they can’t imagine what he’s going through, he wants to tell them (though “I didn’t say” becomes the refrain of his unspoken thoughts) “It is exactly as you imagine it. What you imagine is correct.” But “This is not what they, the parents, wanted me to say” – their professed lack of imagination is a kind of screening. And for Adam there is the new worry that his mother, who died young, could have had the same affliction, and has possibly passed it on to his younger daughter, Rose, as well as to Miriam. The repetitions of day-to-day life, newly precarious, are interspersed with the story of Adam’s father, the son of Austrian Jewish refugees who met in the States – again, the chanciness of family connections and heredity – who travelled from one commune to another in the sixties before reaching England. Some of his anecdotes – for example the tale of Adam’s mother and the connection she felt to the sea, to its tidal zones – have the feeling of folk-tale, here recalling selkies with their strange but often unhappy interactions with humans and their tendency to slip away unexpectedly. I’ve followed Seven Miles of Steel Thistles, Katherine Langrish’s folk and fairy tale blog, since she began it back in 2009. She chose the title - a story warning of difficulties waiting on the long journey ahead - as an apt phrase for setting out on her blogging adventure, but word spread and the blog became both well-respected and successful. However, Langrish has collected some of her on-screen reflections and offers them, with a richness and a pleasing randomness, within the paperback pages of Seven Miles of Steel Thistles, so one can go looking again. The chapters, revised and developed, still keep the light and friendly tone of the original posts; reading the paperback feels rather like listening to the author in conversation with you, and that is a good thing. Katherine Langrish, a children’s author “by trade and vocation”, describes a childhood filled with Andrew Lang’s Colour Fairy Books, the Folk and Fairy Tales of the Brothers Grimm’s and such tales and understanding that similar stories occur across a variety of voices and cultures, both high and low. The book is arranged in three parts. In the first, ON FAIRY TALES, she muses on topics such as ill-fated bargains made with fairy brides, the significance of colour within folk tales and our human need for dragons, as well as the useful magic of such labour-saving objects as porridge pots. I very much welcomed her sound, spirited argument on behalf of fairy-tale heroines, whose actions “tell us to be active, to use our wits, to be undaunted”, even as - through stories of enchanted youths like Thomas the Rhymer, Tam Lin, and others - she opens up a fairyland that is not filled with dancing children but a cold Otherworld one door away from hell. In the second section, REFLECTIONS OF SIMPLE TALES, Langrish looks more deeply into single tales. Her essay on Briar Rose steps past the sleeping princess, and in to “stopped time” and the beauty of that “whole little jewelled world frozen and forgotten.” I was particularly interested, as an occasional storyteller, in Langrish’s long pondering on The Juniper Tree. What makes this story “tellable” to older children, she feels, is that - despite murder and cannibalism – the horror is balanced by innocence and hope. In other chapters, she describes her thoughts as she traces stories through oral records, fragments of text or literary versions and adaptation, whether a rambling County Mayo tale or 18th & 19th Century collectors work on the enigmatic Great Selchie of Sule Skerry ballad. She also reveals the relationship between this work and her need to understand the deep, emotional heart of a story when writing her novels for children: Troll Fell, Troll Mill, Troll Blood , Dark Angels and Forsaken. In the third section, Katherine Langrish uses her FOLK TALES section to reflect on a variety of themes and beliefs, from the wisdom of fools and simpletons to homely hobs and fairies. She writes of transformations, of pale “white ladies” and also about ghostly apparitions that just are, “happenings” and encounters without any plot or story. She looks into our relationship with water, suggesting that many legends and stories suggest echoes of ancient beliefs in water goddesses and offerings of “drowned” tributes. Finally, with the end of the book, comes HAPPILY EVER AFTER, and little need to say more or to explain. 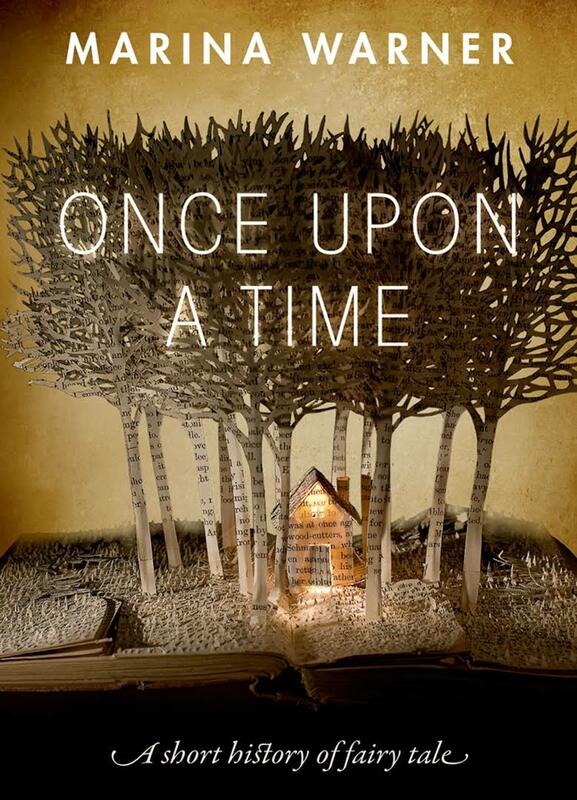 With “once upon a time”, she says, the storyteller alerted the audience and now all is done. Ritual words of ending show that the teller is not pausing for a twist or reversal of fortune but mark that the time of the tale is over, even if - through the closing phrases Langrish offers – one is suggesting that none of it was true. I want to finish with three points. The first is that, although I know Katherine, I had already bought a copy of this paperback book for myself, well before writing this review. 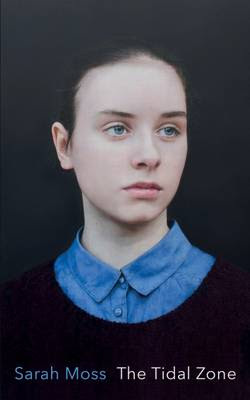 The second is to celebrate the fact that a new publishing house, The Greystones Press, set up by Mary Hoffman & Steve Barber, chose to publish SEVEN MILES OF STEEL THISTLES, and finally to add that Katherine Langrish’s distinctive and beautiful writing style made reading this book a pleasure. And - this time truly – not a word of a lie!